See Location for 2018/19 class dates. Please get in touch if you would like to attend a class. 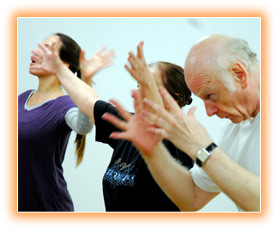 A specially designed dance class for people living with Parkinson’s. 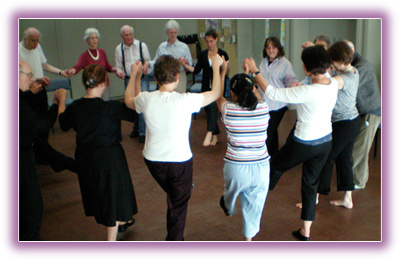 The class takes place in a warm supportive environment where participants come together to find joy, beauty and expression in movement. Live music creates an energetic and dynamic atmosphere in which to dance. Carers, relatives and friends are welcome. See CLASSES for more information.